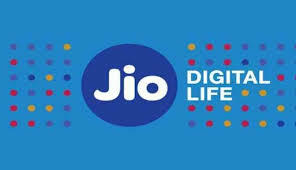 Jio was launched on December 27th, 2015, their commercial services are officially rolled out starting September 5th, 2016.
their two years of existence in the market, and offer of free GBs for users is part of the celebrating this occasion. There will 4 days in September, and 4 days in October, then Jio users can avail 2 GB per day. Hence a total of 8GB in September, and 8 GB in October. For September month, the 4 days for getting free 2 GB/day are September 7th, 8th, 9th, and 10th. Days for getting free 2GB/day for October hasn’t been announced yet. On the left-hand side, you can see the Menu option. Click on that, and the menu will roll down. Click on ‘My Plans’ section, where you see your current plans, and validity data. Below that, you can see ‘Jio Celebrations Pack’ section. Daily, from September 7th to September 10th, you can see 2 GB of additional data in that section. Note here, that the data of 2 GB per day won’t be carried forward to next day, and you need to finish that in one day. I regret to inform you that the message received me on today ie 13th September;and the offer fro 7th to 10th September 2018. I regret to inform you that the message received me on today ie 13th September;and the offer fro 7th to 10th September 2018. Cherian.V.C. I regret to inform that this message has been delivered to me today which deprives from the offer. Worthless message, received after end of offer period. Same as you, but you can visit digiclause.com for regular posts and notifications. This msg received today. And it's October running. Worthless msg bcz I receive this msg today on 18 Sept. I have received this notification by today!! I wish, I could received it earlier!! By the way, this email deserve thump down!!! there is no such option in menu and it seems jio is making customers fool.sorry that is not good. jio never gives any benefit.it works only after recharge. There is no such plan and message to redeem the Jio celebration offer.please help me this. I received your message today on 28/09/2018.It is worthless to me now.I think it is only wakwas offer.It is only ur ghatiya propoganda for ur business only.Please don't make fool others to fulfill your lust.Thanks for tricks.